THURSDAY, Sept. 7, 2017 (HealthDay News) -- For reducing colon cancer risk, whole grains and regular exercise are a must, while processed meats and alcohol should be limited, a large research review finds. 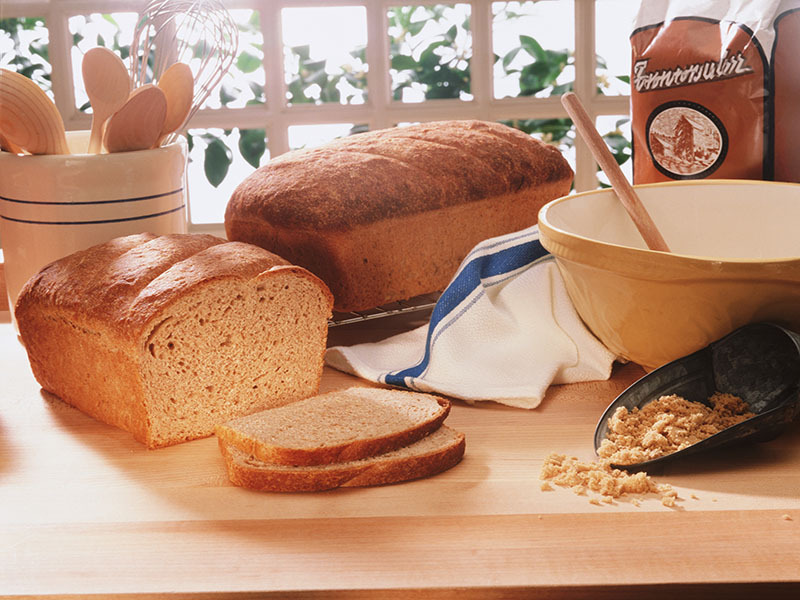 Three servings (about 3 ounces) a day of whole grains -- such as brown rice or whole-wheat bread -- may lower colon cancer risk by 17 percent, according to a new report from the American Institute for Cancer Research and the World Cancer Research Fund International. And greater consumption of whole grains confers even more protection, said the researchers, who evaluated close to 100 studies. Among more than 29 million adult participants, about 250,000 had colon cancer. "The extensive review of the scientific literature revealed that colorectal cancer is largely preventable through a healthy diet and lifestyle," said report panel member Dr. Edward Giovannucci. "Maintaining a healthy body weight, physical activity, a healthy diet, and avoiding smoking and high alcohol intake all contribute to lower risk of colorectal cancer," added Giovannucci, a professor of nutrition and epidemiology at the Harvard School of Public Health. Based on their analysis, the researchers recommend limiting red meat, such as beef or pork, to no more than 500 grams (cooked weight) a week. That's about 17 ounces or just over a pound. Also, eat little, or no, processed meat such as ham, hot dogs and bacon, the report suggests. Being overweight or obese, or drinking two or more alcoholic drinks (30 grams) a day were also linked to greater colon cancer risk. "A healthy diet should include an emphasis on high-fiber whole grains, fruits and vegetables, and less on highly processed grains or starchy foods, especially those high in added sugars and fats," Giovannucci said. Other sources of dietary fiber, dairy products and calcium supplementation were also deemed beneficial for lowering colon cancer risk. However, supplements will not take the place of a healthy diet, the report noted. Colon cancer is the fourth most common cancer worldwide and the third most common in the United States, the researchers said in background notes. It is also the fourth most common cause of cancer-related deaths globally. And rates are rising, with experts projecting a nearly 60 percent increase in new colon cancer cases by the year 2032. Risk has previously been linked to a prior history of inflammatory bowel disease and/or smoking. But the current review, which updates a 2011 report, determined that almost half of all colon cancer cases in the United States could be prevented by the adoption of a healthy lifestyle. While whole grains and fruits and veggies topped the recommended foods, the team also observed more "limited" but noteworthy evidence that fish, foods containing vitamin C, vitamin D, and multivitamin supplements may also help to lower risk. No conclusion could be drawn one way or another with respect to a range of other foods, including cereals, potatoes, poultry, shellfish, coffee or tea. The report also cites strong evidence that being physically active decreases the risk of colon cancer. Recommended action: Physical activity for at least 30 minutes a day, and sitting less. The bottom-line, said Giovannucci: "Colorectal cancer is largely preventable; it is not inevitable." That point was seconded by Dr. Darrell Gray, an assistant professor of gastroenterology, hepatology and nutrition at Ohio State University Comprehensive Cancer Center. "Colorectal cancer is one of the most common and most deadly cancers, but it doesn't have to be," said Gray. "People can't choose their biologic parents, nor the environment into which they're born, and these things we know influence cancer risk," he added. "But people can control their diet and the amount of exercise they get, so they can reduce their risk for colorectal cancer." Gray said he wasn't surprised by the findings. "This very large comprehensive study really just provides further evidence that, beyond raising awareness about the importance of colorectal screening, we need to focus more attention on nutrition and lifestyle," Gray said. "Diet and physical exercise really matter," he said. Dr. Frank Sinicrope of the Mayo Clinic in Rochester, Minn., agreed. "These data provide further evidence that a healthy lifestyle and dietary habits can provide significant protection against colorectal cancer," said Sinicrope, a professor of medicine and oncology. "These choices are under one's control and can have a major impact on reducing the risk of developing this common cancer," he said.